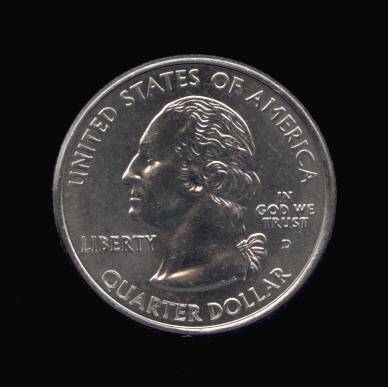 The Idaho State Quarter shows the outline of the state with a star at the location of the capital, Boise. The upper portion of a Peregrine Falcon is to the left, looking right. 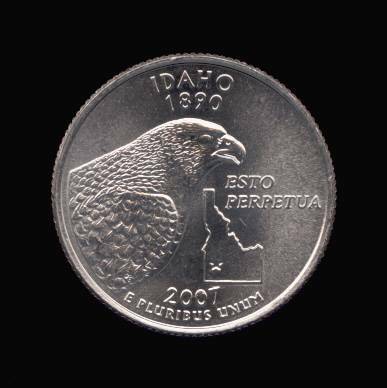 The Latin legend on the quarter is the State Motto which translates to "May it be Forever"